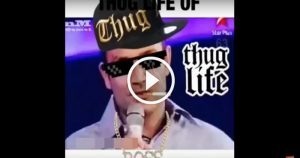 VIDEO: Virender Sehwag’s Thug Life Video is The Best Ever – THE LEGEND! Now its official that Sehwag has retired from all forms of international cricket. Being a fan of the most dashing batsman India has ever produces, I was just digging into the best of Viru and found this! There are many on field rivalries and when it comes to Ind vs Pak, the excitement reaches to its peak. And what do you say when the best faces the best? Sehwag when asked about one of the best comments he has done while batting, remembered the incident where Sachin and he were batting and Shoaib Akthar was at the bowling end. It couldn’t get any better. Well, that’s what happenes when you play against the best in the business! And Sachin Sehwag was the best combination ever!